Eraser blade strippers are great for round magnet and enamel wires with any type of film insulation, from solid and stranded wires and round cable and coax. 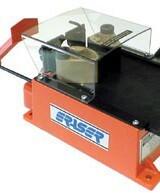 Rotary strippers are the perfect machine if you need to cleanly remove insulation with no damage to the wire conductor. 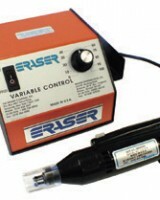 Eraser’s Model L4 Portable Rotary Insert Wire Stripper will remove film insulations including enamel, Formvar, ML, armored poly-thermaleze and epoxy from round wires. Model L4 can also be used for other applications such as; deflashing wires,cleaning legs of electronic components and cleaning pins on transformers and coils. A high-speed rotating insert strips insulation from the surface of the wire. Close-up stripping is possible flush to a coil body or bobbin. 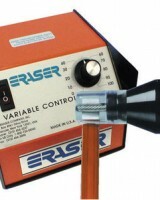 Eraser’s Model L4A Portable Rotary Insert Wire Stripper will remove film insulations including enamel, Formvar, ML, armored poly-thermaleze and epoxy from round wires. Model L4A can also be used for other applications such as; deflashing wires,cleaning legs of electronic components and cleaning pins on transformers and coils. A high-speed rotating insert strips insulation from the surface of the wire. Close-up stripping is possible flush to a coil body or bobbin. The LS series wire and cable strippers are precision wire and cable strippers. Blades are available to cover most applications and all are manufactured to exacting standards to provide a clean strip. Custom stripping blades can be manufactured for specific applications. Blades are quickly changed or adjusted. An adjustable strip length stop ensures consistent strip lengths. Model LS10 incorporates standard cable clamps. Select stripping blades are required. The LS series wire and cable strippers are precision wire and cable strippers. Blades are available to cover most applications and all are manufactured to exacting standards to provide a clean strip. Custom stripping blades can be manufactured for specific applications. Blades are quickly changed or adjusted. An adjustable strip length stop ensures consistent strip lengths. Model LSR10 incorporates rubber covered clamps. Select stripping blades are required. 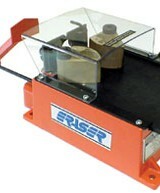 Eraser’s Model L2S Bench Wire Stripper will remove film insulations including enamel, Formvar, ML, armored poly-thermaleze, epoxy and more from round wires. The L2S can also be used for other applications such as; deflashing wires, cleaning legs of electronic components and cleaning pins on transformers and coils. A high-speed rotating insert strips insulation from the surface of the wire. Close-up stripping is possible flush to a coil body or bobbin. The L2S also cleans round lead legs of electronic components and removes oxidation, flashing, epoxy, and even contaminated solder. The PL3S wire stripper will remove most film insulations including enamel, Formvar, ML, armored poly-thermaleze, epoxy, etc. from round wires. The PL3S can also be used for other applications such as deflashing wires, cleaning legs of electronic components, cleaning pins on transformers and coils, etc. A high-speed rotating insert strips insulation from the surface of the wire. Close-up stripping flush to a coil body or bobbin is possible. 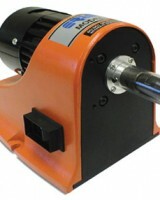 The unit has a 3 foot flexible shaft for maneuverability around the workpiece. The L2AS wire stripper will remove most film insulations from round wire including enamel, Formvar, ML, armored poly-thermaleze, epoxy, etc. The L2AS can also be used for other applications, such as deflashing wires, cleaning legs of electroniccomponents, cleaning pins on transformers and coils, etc. A high-speed rotating insert strips insulation from the surface of the wire. Close-up stripping is possible flush to a coil body or bobbin. 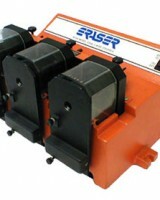 Eraser’s Model C100S Wire Stripper will remove most insulation types from solid and stranded wire. This single blade rotary wire stripper can strip a length of up to 1-1/2” while twisting the ends of stranded wire together. Blade depth and strip lengths are easily adjustable while the machine is running and ensure consistent, clean, strip lengths. Wire guides are required and can be selected based on the outer diameter size of the wire. The C100S has a reversible motor enabling it to strip and twist to the correct lay of the wire. An optional blade is available for use with very fine, fragile wires. The DCF 2/3 stripper will strip round magnet and enamel wires with any type of film insulation, including Formvar, nylon, polythermaleze and varnish The variable speed power unit controls the speed. Insulation is cleanly removed but the wire conductor is not damaged. This tool is ideal for the production and repair stripping of armatures, coils, chokes, transformers, relays, solenoids, etc. The optional Bench Kit enables all models to be used as bench mounted machines. The DCF 4 stripper will strip round magnet and enamel wires with any type of film insulation, including Formvar, nylon, polythermaleze and varnish The variable speed power unit controls the speed. Insulation is cleanly removed but the wire conductor is not damaged. This tool is ideal for the production and repair stripping of armatures, coils, chokes, transformers, relays, solenoids, etc. The optional Bench Kit enables all models to be used as bench mounted machines. The DCF 1 stripper will strip round magnet and enamel wires with any type of film insulation, including Formvar, nylon, polythermaleze and varnish The variable speed power unit controls the speed. Insulation is cleanly removed but the wire conductor is not damaged. This tool is ideal for the production and repair stripping of armatures, coils, chokes, transformers, relays, solenoids, etc. The optional Bench Kit enables all models to be used as bench mounted machines. The DCFR uses a rotating carbide rasp head to strip square, rectangular, or flat magnet or enamel wire insulations including glass, varnish, epoxy and polythermaleze. The variable speed power unit controls the speed. Insulation is cleanly removed but the wire conductor is not damaged. This tool is ideal for the production and repair stripping of armatures, coils, chokes, transformers, relays, solenoids, etc. The optional Bench Kit enables it to be used as bench mounted machines. 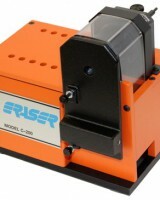 Designed for production, Eraser’s Model C200 Twin Blade Rotary Wire Stripper and Twister can process insulations such as Teflon, P.T.F.E., PVC, nylon, rubber, KEL-F and more from solid and stranded wires. 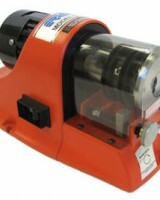 The stripping head incorporates a pair of accurately adjustable tungsten carbide stripping blades. The blades are easily adjusted and remain on center. By reversing the belt, the unit may be operated with either clockwise or counterclockwise rotation. The slug may be left on the wire and removed later when terminated. Wire guides are not included and must be purchased separately. The LS series wire and cable strippers are precision wire and cable strippers. Blades are available to cover most applications and all are manufactured to exacting standards to provide a clean strip. Custom stripping blades can be manufactured for specific applications. Blades are quickly changed or adjusted. An adjustable strip length stop ensures consistent strip lengths. The LSAR20 is an air-operated versions of the LS series wire and cable strippers. 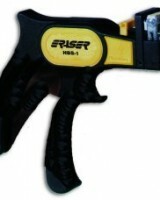 The LSAR20 incorporates rubber covered clamps to eliminate markings. Select stripping blades as required. 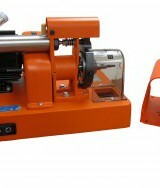 The LS series wire and cable strippers are precision wire and cable strippers. Blades are available to cover most applications and all are manufactured to exacting standards to provide a clean strip. Custom stripping blades can be manufactured for specific applications. Blades are quickly changed or adjusted. An adjustable strip length stop ensures consistent strip lengths. The LSA20 is an air-operated versions of the LS series wire and cable strippers. Model LSA20 incorporates standard serrated cable clamps. Select stripping blades as required. Designed for production, the Model C300 Twin Blade Rotary Wire Stripper and Twister will strip insulations from solid and stranded wires. The unit is capable of processing Teflon, P.T.F.E., PVC, nylon, rubber, KEL-F, miniature coax, coaxial cables,shielded wires and cables. The slug may be left on the wire and removed later when terminated. The stripping head incorporates a pair of accurately adjustable tungsten carbide stripping blades. The blades are easily adjusted and remain on center. 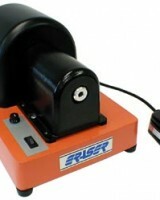 This precision wire stripper is for wires insulated with problematic material. It is extraordinarily well suited for removing insulation from PMMA waveguides with PH sheath. The pliers are made of fiberglass reinforced polyamide with exchangeable blade.The HBS1 is suitable for wires with insulation of PVC, rubber, THHN, silicone, TPE, and THWN. It is applicable for use in the telecommunications, electrical and motor industries. 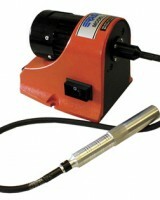 A cable stripper with a unique adjustable depth swivel blade which cuts insulation on large cables both longitudinally and circumferentially, enabling insulation to be peeled off easily even for cables where insulation is molded tightly on conductors. The Model 1256 Stripper is a bench model stripper that can be used to strip coaxial cables, including semi-rigid, heliax, plenum and RGU. 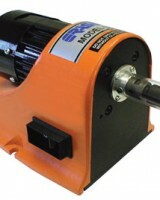 Powered by an AC motor and foot switch activated, the Model 1256 is easy and safe to use.